If you’ve been injured in a semi accident in Kansas or Missouri then you should contact The Law Office of Jared A. Rose. Semis cause thousands of wrecks every year. Make sure you don’t become just another statistic. Trucking companies deal with accidents every day and they probably won’t treat yours seriously unless you get a lawyer. Our law firm can help make sure that you receive full compensation for your medical bills, for any lost wages, for the pain and suffering that you have endured, and for the impact this accident has had on your life. An experienced trucking lawyer knows how to collect the evidence that trucking companies don’t want you to find – things like log books, tracking devices, and maintenance reports. Trucking companies and their drivers are supposed to follow safety regulations to make sure our highways and roads are safe. But sometimes trucking companies and semi drivers put profits ahead of safety. Don’t let them get away with it. Semis are much bigger than cars and so even a low-speed accident with a semi can cause serious injuries. 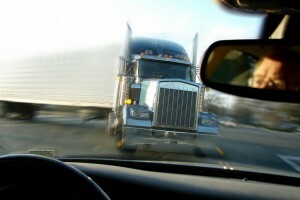 Even if your accident with a semi seemed minor, you should contact a lawyer. At The Law Office of Jared A. Rose, we are ready to help.